Crimea became a major flashpoint of a domestic conflict in Ukraine, and an international conflict involving Russia and the West, after the largely peaceful Euromaidan mass protests ended with a violent overthrow of the Viktor Yanukovych government in February 2014 (See Katchanovski, 2014 and Sakwa, 2015). Before its secession with direct Russian military support and its annexation by Russia in March 2014, Crimea already had a history of separatism in Ukraine. But this region avoided a violent conflict during the break-up of the Soviet Union, in contrast to Transnistria in Moldova, Abkhazia and South Ossetia in Georgia, Nagorno Karabakh in Azerbaijan, and Chechnya in Russia. The Crimean Peninsula was historically populated by different people, and it was a place of many wars and conflicts. Its early inhabitants included the Cimmerians, the Scythians, and ancient Greeks, whose colonies were located on the Black Sea. The Goths, the Huns, Kievan Rus, Genoese and Venetian merchants, and the Mongol-led Golden Horde controlled various parts of the Crimean Peninsula over different historical periods in the end of the first millennium and the beginning of the second millennium. The Crimean Khanate emerged from the Golden Horde in the 15th century, and it later became a vassal state of the Ottoman Turkey. The Crimean Tatars often raided the Ukrainian, Polish, and Russian territories as a part of military campaigns and to capture large numbers of slaves. As a result of Russian-Turkish wars, Crimea was seized by the Russian Empire in 1783, and a significant part of the Crimean Tatar population resettled or was forced to move to the Ottoman Empire. The Crimean War in 1853-1856 brought a military defeat of Russia from an alliance led by Great Britain, France, and the Ottoman Empire, but the peninsula remained in the Russian Empire (Magocsi, 2014). During and in the aftermath of World War I, the Bolshevik Revolution, the Civil War, and Ukraine’s brief independence from the Russian Empire, control over Crimea was seized by the Ukrainian government, German military, the Russian White Armies, and then by the Bolshevik Red Army in 1920. In 1921, the Crimean Autonomous Soviet Socialist Republic was established as a Crimean Tatar autonomy in Soviet Russia and then as part of the Russian republic in the Soviet Union. However, the Soviet policy of Tatarisation was ended by Joseph Stalin. The artificial famine of 1932-1933 affected Crimea much less than neighbouring agricultural regions in Soviet Ukraine and Kuban in Russia. But mass political terror in the mid-1930s claimed large numbers of Crimean residents, arrested and executed or exiled to Gulag. Crimea became a major battlefield and a killing field during World War II and the German occupation in 1941-1944. In 1944, Stalin imposed a collective punishment on the Crimean Tatars, charging the entire ethnic group with collaboration with Nazi Germany. The Soviet government deported all of the Crimean Tatar population and other smaller ethnic minorities to Central Asia in 1944, and the formal Crimean autonomy was eliminated. A signiﬁcant proportion of the Crimean Tatars perished during this ethnic cleansing and in its aftermath, primarily as a result of lack of food and medical care. A large number of migrants from Russia and Ukraine were settled in the region. In 1954, Nikita Khrushchev, the new Communist leader of the Soviet Union, transferred Crimea from Russia to the Ukrainian republic (Katchanovski, Kohut, Nebesio, and Yurkevich, 2013, pp. 115-116; Magocsi, 2014). Separatism in Crimea started to manifest itself during the political liberalisation of perestroika and glasnost initiated by Mikhail Gorbachev, a reformist Communist leader of the Soviet Union. In January 1991, 93 per cent of the Crimean voters supported granting their region the status of the Crimean Autonomous Soviet Socialist Republic within the Soviet Union (Sasse, 2007, p. 138). At the same time, in the Ukrainian referendum on 1 December 1991, 54 per cent of the voters in Crimea backed the independence of Ukraine, much less than the national average of 91 per cent. However, the pro-Russian separatist movement grew popular during the first several years of independent Ukraine. The Russia Bloc, which favoured an independent Crimea or the region’s reuniﬁcation with Russia, received 67 per cent of the votes in the 1994 parliamentary election. Yury Meshkov, its candidate, won 73 per cent of the votes in the second round of the 1994 presidential election in Crimea. Major differences along ethnic lines concerning support for separatism in Crimea became evident in the 1990s. Crimea was the only region of Ukraine with a majority ethnic Russian population. The 2001 census recorded 58 per cent of the population of Crimea, including Sevastopol, as ethnic Russian, and 24 per cent as ethnic Ukrainians. The Crimean Tatars constituted 10 per cent of the population (calculated from Vseukrainskyi, 2014). The 1996 USIA/SOCIS-Gallup survey showed that 59 per cent of ethnic Russians in Crimea supported their region joining Russia. A significant percentage of ethnic Ukrainians (41 per cent), and a much lower percentage of the Crimean Tatars (8 per cent), expressed the same preference. Conversely, 13 per cent of Russians and 29 per cent of Ukrainians in Crimea, and more than half of the Crimean Tatars (54 per cent), favoured their region remaining a part of Ukraine (USIA, 1996). The absolute majority of the Crimean Tatars returned to Crimea in the end of the 1980s and the beginning of the 1990s (Allworth, 1998). They established and overwhelmingly supported their own ethnically-based political organisations, such as the Mejlis. Crimean Tatar leaders and organisations opposed pro-Russian separatism, and they allied with nationalist Ukrainian parties and politicians (Drohobycky, 1995; Katchanovski, 2005; Sasse, 2007). Internal divisions and policies of the Ukrainian government led to the disintegration of the Russia Bloc in the middle of the 1990s. In 1995, the Ukrainian President Leonid Kuchma temporarily suspended the Crimean constitution and abolished its presidency. While Crimea retained its status as an autonomous republic in Ukraine, influence of the central Ukrainian government in the region increased significantly, both de jure and de facto. The Communist Party of Crimea and then the Party of Regions, which formed an electoral alliance with the Russian Bloc, became the most popular political forces in the region. However, overtly separatist pro-Russian organisations did not receive strong support in the regional elections since the mid-1990s (Sasse, 2007). Such developments led to conclusions that the pro-Russian secessionist movement in Crimea failed, that a potential conflict in Crimea was successfully prevented, and that this autonomous region became integrated into the Ukrainian polity (Kuzio, 2007; Sasse, 2007). However, some other studies argued that separatism retained a significant popularity in Crimea and that its potential secession remained a possibility (Katchanovski, 2006). For example, the 2001 Razumkov Center survey showed that 50 per cent of the respondents in Crimea favoured their region becoming a part of Russia, and an additional 9 per cent preferred to see their region as an independent state (calculated from Krym, 2001). The separatist preferences in Crimea increased significantly after the ‘Orange Revolution’ in 2004 brought a pro-Western and nationalist president, Viktor Yushchenko, to power. Viktor Yanukovych, a relatively pro-Russian presidential candidate, failed to gain power in Ukraine through the falsification of the election results, but he received overwhelming backing in the region. In the 2008 Razumkov Center survey, conducted soon after the Russian-Georgian war following an attempt by the Georgian government to seize the de-facto independent secessionist region of South Ossetia, 73 per cent of the Crimeans, who made their minds on this issue, backed the secession of Crimea from Ukraine with a goal of joining Russia (calculated from AR Krym, 2008). In this survey, 85 per cent of ethnic Russians, 65 per cent of ethnic Ukrainians, and 17 per cent of the Crimean Tatars wanted their region to secede from Ukraine (calculated from AR Krym, 2008). When asked separately in the same survey, 47 per cent of the respondents in Crimea, including 49 per cent of ethnic Russians, 45 per cent of ethnic Ukrainians, and 39 per cent of the Crimean Tatars, favoured the independence of Crimea. The 2008 Razumkov Center survey showed that 59 per cent of the Crimean Tatars supported Crimea becoming a Crimean Tatar national autonomy in Ukraine. Separately, 33 per cent of the Crimean Tatars backed the unification of Crimea with Turkey. However, the outright secessionist preferences in Crimea declined afterwards, and they were expressed by 38 per cent of the respondents in the 2009 Razumkov Center poll. Thirty per cent voiced such views in the 2011 Razumkov Center poll after Yanukovych won the 2010 presidential election with promises of closer political and economic cooperation with Russia and making Russian the second state language in Ukraine (Iakist, 2011, p. 27). The 2011 Razumkov Centre survey showed that combined support for joining Russia and independence of Crimea decreased among ethnic Ukrainians to 25 per cent, from 35 per cent, in 2009. Attitudes of ethnic Russians demonstrated a similar decline of separatist preferences to 35 per cent from 43 per cent. Such separatist attitudes among the Crimean Tatars remained the same in 2011 (28 per cent), compared to 2009 (27 per cent), but their support for joining Turkey increased from 4 per cent in 2009 to 21 per cent in 2011 (Razumkov Center, 2011, p. 27). Polls indicated that pro-Russian separatism in Crimea had significant but minority support during the Euromaidan. The absolute majority of Crimeans backed the Yanukovych government and opposed the Euromaidan, which started as a mass protest against backtracking by the Yanukovych government on the association and free trade agreement with the European Union, and then turned into the anti-government protest and a rebellion in western and a number of central regions. Yanukovych, during his presidency, and his semi-oligarchic Party of Regions opposed separatism in Crimea, while receiving the support of the majority of voters in this region in various parliamentary and presidential elections. Yanukovych regarded Crimea as another source of enrichment for his personal network of family, politicians, and oligarchs, and he appointed a number of his associates from Donbas to senior positions in Crimea. Top Russian leaders, such as President Boris Yeltsin in the 1990s and President Vladimir Putin prior to the overthrow of the Yanukovych government in February 2014, did not support separatism in Crimea. However, the Russian government declared that the NATO membership of Ukraine was an unacceptable threat to security of Russia. Putin stated during the NATO summit in Romania in April 2008 that such a move could result in a break-up of Ukraine along regional lines, and he reportedly claimed that Ukraine was an artificial country, which included historically Russian regions along with other regions (Dzerkalo tyzhnia, 2008). Some other Russian leaders – such as Yury Luzhkov, the mayor of Moscow, and various nationalist and communist opposition politicians – publicly refused to recognise Crimea or Sevastopol City as parts of Ukraine, and they expressed their backing for reunification of entire Crimea or Sevastopol with Russia. In spite of differences and tensions, the Russian and Ukrainian governments managed peacefully to divide the Black Sea Fleet after the collapse of the Soviet Union, but Russia was able to maintain its navy presence in Sevastopol. In 1997, the two countries signed an agreement granting the Russian Black Sea Fleet a 20-year lease of the Sevastopol navy base. In 2010, President Yanukovych signed another agreement with Russia that extended the lease of the Sevastopol navy base by the Russian Black Sea Fleet for 25 years after the original lease was supposed to expire in 2017, in return for a discount for natural gas imported by Ukraine from Russia. The violent overthrow of the Yanukovych government in February 2014 gave a significant boost to separatism in Crimea. The Russian government used this overthrow to reverse its previous policy and to start backing both separatists and the annexation of Crimea. Yanukovych fled from eastern Ukraine to Crimea on 22 February, and the Russian military, there on instructions from the Russian government, helped him to escape to Russia. The new government and the media in Ukraine, and their counterparts in Western countries, presented the change of the government as a result of peaceful mass protests during the Euromaidan. They maintained that Yanukovych abandoned his presidential position and fled from Ukraine because of his responsibility for the massacre of the Maidan protesters on 20 February 2014. Evidence, however, indicates that elements of the far right and oligarchic organisations were involved in the mass killing of both Maidan protesters and the police, and that this massacre played the decisive role in the overthrow of the Yanukovych government (Katchanovski, 2014). The Russian leaders and the media often characterised the overthrow of Yanukovych as a fascist coup, and they justified support of separatism and annexation of Crimea by protection of ethnic Russians from the Ukrainian ‘fascists’ and by the Russian national security interests to prevent it from losing control of the main Black Sea naval base and its falling under control of NATO. Russian military forces without insignia, along with separatist ‘self-defence’ formations, seized control over the Crimean parliament building, other government buildings, and Ukrainian military installations in the peninsula. However, the Russian government initially denied its direct military intervention in Crimea, in spite of evidence that Russian military units (‘little green men’) were operating along with separatist armed units in Crimea beyond the Russian naval base in Sevastopol, and that they were seizing Ukrainian military units and government headquarters. The Crimean Parliament, headed by Vladimir Konstantinov from the Party of Regions, refused to recognise the new government of Ukraine. The parliament at the end of February 2014 elected Serhii Aksyonov, a pro-separatist leader of the Russian Unity party, as the new Prime Minister of the Crimean autonomy (Aksyonov was reportedly involved in organised crime in the past). The parliament of the Crimean autonomy and the Sevastopol city council unilaterally declared their independence from Ukraine and set up a referendum on this issue. The official results of the referendum held on 16 March 2014 reported that 97 per cent of the voters in Crimea supported joining Russia. The Ukrainian government and the media, and to a large extent their Western counterparts, characterised separatism in Crimea as having minority support and the referendum as illegal and falsified. The separatism in the region was attributed mostly to direct military intervention by Russia. However, the analysis of various survey data indicates that support for separatism in Crimea increased significantly after the Euromaidan that resulted in the overthrow of the relatively pro-Russian government. There is no directly comparable and publicly available reliable survey data concerning popular support for separatism and joining Russia in Crimea after the Euromaidan. However, in a Pew Center survey in April 2014, 91 per cent of the respondents in Crimea stated that the referendum was free and fair (Pew Center, 2014). In contrast to Donbas, a separatist region in eastern Ukraine, Crimea avoided a violent conflict. Large sections of Ukrainian military, security service, and police forces on the peninsula switched their allegiance to the separatists and then to Russia, while others were blockaded and disarmed by the Russian military and the Crimean self-defence and returned to Ukraine. Major Crimean Tatar organisations, in particular the Mejlis, were the most vocal opponents of the secession and annexation of Crimea, and they boycotted the 16 March referendum. Over several days following this referendum, the former Crimean autonomous republic and the city of Sevastopol were formally incorporated into the Russian Federation. The Russian government justified its annexation of Crimea by humanitarian intervention and the precedent of Kosovo independence. However, the new Ukrainian government, the US and other Western governments, and most members of the United Nations, rejected the unilateral secession and annexation of Crimea as illegal under the international law. The Ukrainian government’s official stance, expressed, for example, by newly elected president Petro Poroshenko, is to reunite Crimea with Ukraine. The use of military force to take back control over Crimea was raised as a possibility by some Ukrainian officials, but such an option is very unlikely because it would lead to a war with the much more powerful Russia. By the end of 2014, the Ukrainian government moved to impose a limited blockade of Crimea by suspending train and bus links. The Western governments rejected the possibility of using their military forces in Crimea. The US government, and governments of the European Union members and other Western countries, imposed economic and travel sanctions against separatist leaders of Crimea and Russian government officials for the annexation of the region. The sanctions also prohibited or severely restricted work of US and other Western businesses in Crimea. For example, following a new round of the US sanctions, Visa and MasterCard blocked the use of their credit cards in this region in December 2014. However, the Russian government refused to reverse its annexation of Crimea and to negotiate any deal that would change the status of this region. In the September 2014 elections, the United Russia party of President Putin won 71 per cent of the votes in Crimea. Ukrainian and Crimean Tatar parties and organisations were generally limited or curtailed in their ability to continue functioning, and some of their local leaders and activists were subjected to violence, threats of violence, detention, or expulsion from Crimea. The secession of Crimea from Ukraine with help of the direct Russian military intervention, and the subsequent annexation of the region by Russia, represented a major turning point in the political history of the region, which experienced many conflicts in the past and was controlled by different powers during various historical periods. The significant rise in separatist orientations in Crimea after the Euromaidan, the direct Russian military intervention in support of pro-Russian separatists, and the Russian annexation of Crimea imply that a return of Crimea from Russia to Ukraine is virtually impossible. 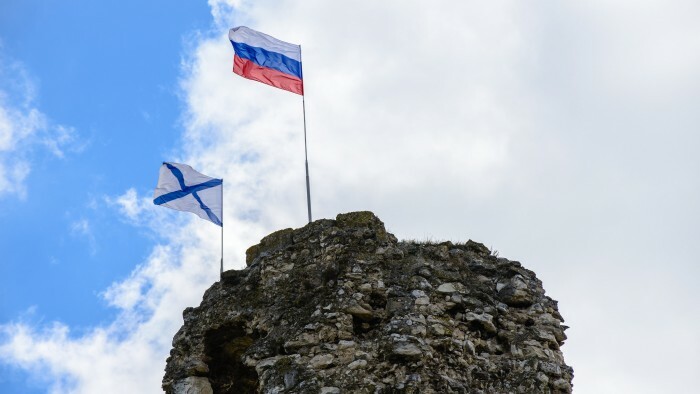 However, Crimea in its current status quo is likely in the foreseeable future to remain a point of conflict between Ukraine and Russia, and between the West and Russia. Allworth, E. E. (1998) The Tatars of Crimea: Return to the Homeland, 2nd ed. Durham: Duke University Press. ‘AR Krym: Liudy, problemy, perspektyvy’ (2008), Natsionalna bezpeka i oborona, Vol. 10, pp. 2-72. Drohobycky, M. (ed.) (1995) Crimea: Dynamics, Challenges, and Prospects. Lanham, MD: Rowman & Littleﬁeld. Dzerkalo tyzhnia (2008) ‘To shcho skazav Volodymyr Putin u Bukharesti,’ 19 April. Razumkov Center (2011) Iakist zhyttia zhyteliv Krymu ta perspektyvy ii pokrashchennia v konteksti stratehii realizatsii kontseptsii ekonomichnoho ta sotsialnoho rozvytku AR Krym na 2011-2020rr. Available at: http://www.uceps.org/upload/Prz_Krym_2011_Yakymenko.pdf. (Accessed: 20 December 2014). Katchanovski, I. (2014) ‘The “Snipers’ Massacre” on the Maidan in Ukraine,’ Paper presented at the Chair of Ukrainian Studies Seminar at the University of Ottawa, Ottawa, 1 October. Katchanovski, I., Kohut, Z. E., Nebesio, B. Y., and Yurkevich, M. (2013) Historical Dictionary of Ukraine, 2nd ed. Lanham. MD: Scarecrow Press. Katchanovski, I. (2006) Cleft Countries: Regional Political Divisions and Cultures in Post-Soviet Ukraine and Moldova. Stuttgart: Ibidem-Verlag. Katchanovski, I. (2005) ‘Small Nations but Great Differences: Political Orientations and Cultures of the Crimean Tatars and the Gagauz,’ Europe-Asia Studies, 57(6), pp. 877-894. ‘Krym na politychnii karti Ukrainy’ (2001) Natsionalna bezpeka i oborona, Vol. 4, pp. 2-39. Kuzio, T. (2007) Ukraine – Crimea – Russia: Triangle of Conflict. Stuttgart: Ibidem-Verlag. Magocsi, P. R. (2014) This Blessed Land: Crimea and the Crimean Tatars. Toronto: University Of Toronto Press. Pew Research Center’s Global Attitudes Project (2014) ‘Ukrainians Want Unity amid Worries about Political Leadership and Ethnic Conflict,’ 8 May. Available at: http://www.pewglobal.org/2014/05/08/chapter-1-ukraine-desire-for-unity-amid-worries-about-political-leadership-ethnic-conflict. Sakwa, R. (2015) Frontline Ukraine: Crisis in the Borderlands. London: I.B.Tauris. Sasse, G. (2007) The Crimea Question: Identity, Transition, and Conflict. Cambridge: Harvard Ukrainian Research Institute. USIA (1996) ‘Crimean Views Diﬀer Sharply from Ukrainian Opinion on Key Issues’, Opinion Analysis, 15 March. Derzhavnyi komitet statystyky Ukrainy (2014) ‘Vseukrainskyi perepys naselennya 2001.’ Available at: http://2001.ukrcensus.gov.ua. (Accessed: 20 December 2014). Ivan Katchanovski teaches at the School of Political Studies and the Department of Communication at the University of Ottawa. He was Visiting Scholar at the Davis Center for Russian and Eurasian Studies at Harvard University, Visiting Assistant Professor at the Department of Politics at the State University of New York at Potsdam, Post-Doctoral Fellow at the Department of Political Science at the University of Toronto, and Kluge Post-Doctoral Fellow at the Kluge Center at the Library of Congress. He is the author of Cleft Countries: Regional Political Divisions and Cultures in Post-Soviet Ukraine and Moldova and co-author of Historical Dictionary of Ukraine (2d edition) and The Paradox of American Unionism: Why Americans Like Unions More Than Canadians Do, But Join Much Less.